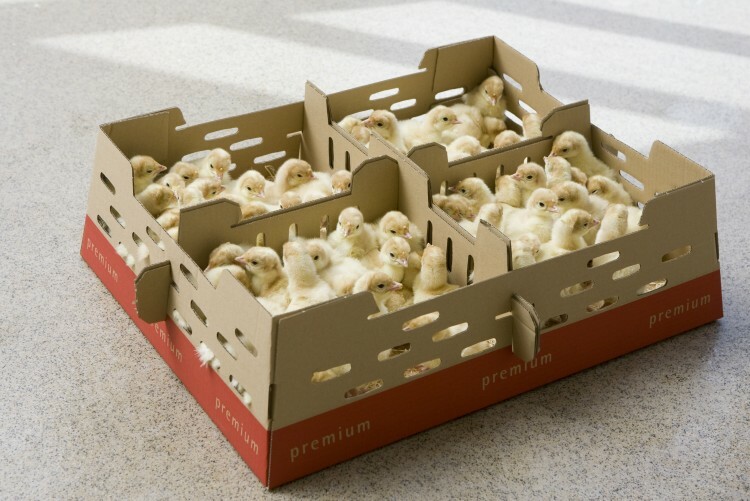 Our poults need to be just as lively and energetic when they arrive at their destination as when they leave our hatcheries, so we transport them in our own vehicles which are fitted with automated air conditioning systems. Specially trained drivers take care of the poults during the journey. The climate conditions inside our lorries are exactly the same as in the hatcheries and an electronic control system can be used to continuously monitor these settings on the way.